I love blog hops and this one is a great one! 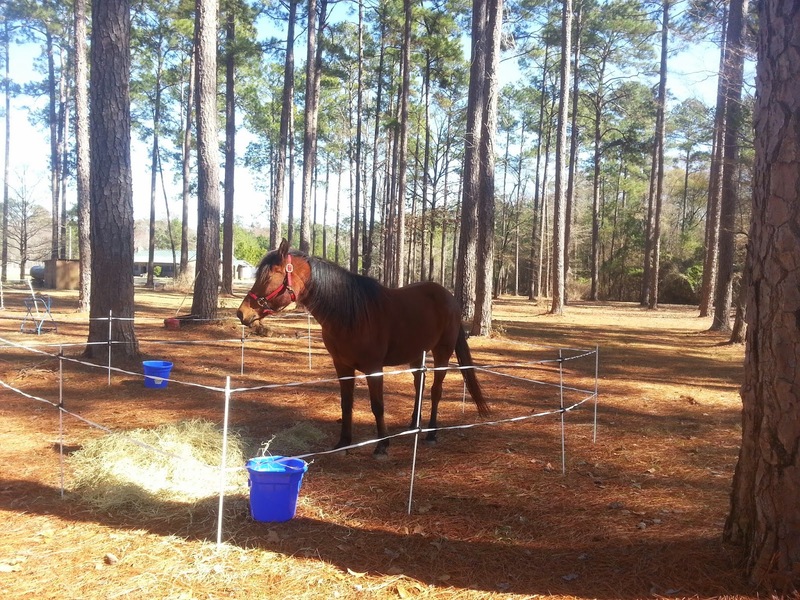 The $900 Facebook Pony asks what the little things are that make me love my mare. It comes at a great time too. I've been really taking the time to realize what it is about Gem that makes me so happy. First and foremost, Gem taught me how to ride. Oh, I knew how to sit on a horse and go before her, but she wasn't game for that. 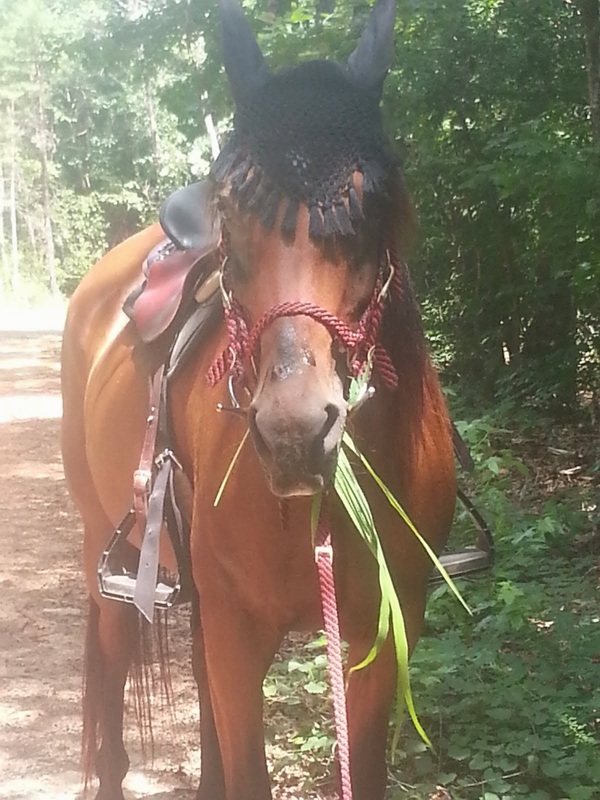 With gem you have to ride every step of every mile or she will dump you. She made me pay attention to my aides more and really develop my independent seat. With all her hard lessons she made me the person I am today and I am forever grateful to her for that. If she hadn't made me work for every single achievement, I wouldn't have had to actually step back and learn theory behind it. Take trailer loading. Had she been a great loader at the start, I never would have had to learn the tricks and techniques to make her do it and now that I have worked with her she self loads like a dream. 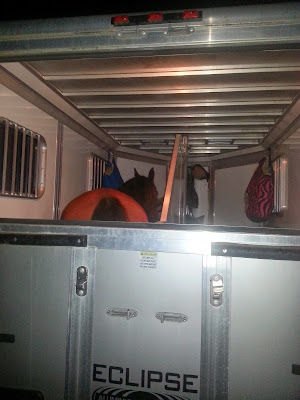 On a less sappy note, she travels like a pro. 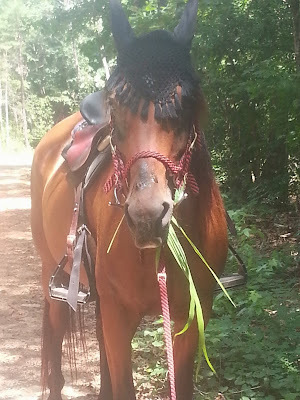 She self loads, eats hay the entire ride, will eat mashes as ffered at rest stops, unloads and looks around like "where on earth am I now" and then settles right in on grazing and making herself at home. You say we are in southern GA? Ok..well the hay tastes just as good here. 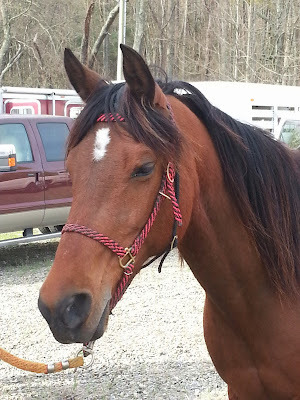 Gem is independent and while she does prefer company on the trail, I can load her up and go camping all alone, ride solo on new or familiar trails and even ride around the property without her looking for or calling other horses. Not a whole lot more to add except getting a new red mohair girth. That would just about do it. She is 100% honest. No drama queen fluff to deal with, but not stoic enough to work through all the pain either. She will tell me when something isn't right and I can trust her opinion. She has self preservation. There won't be any running off a cliff or jumping a 10 foot high wall in our future and I am 100% okay with that. She makes me laugh. Yes, sometimes it is out of pure frustration, but seriously just the thought of where we started 6 years ago and where we are now completely blows my mind. I never would have imagined myself hooking up my trailer, driving to some camp 6+ hours away where I knew nobody, setting up camp by myself and then preceding to ride 50 miles while self crewing. Ever. Yet that is what I did last year and what I plan to repeat again this spring. It is amazing and without Gem I never would have done it. One of my favorite pictures of Gem taken during an extremely hot summer conditioning ride where she basically told me to go screw myself. 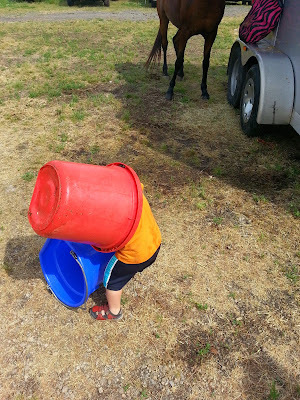 She hauls my toddler around (under supervision) and acts like a normal horse with him on board. She is darn near toddler proof in fact and doesn't even bat an eye when a bucket clad toddler plays nearby. There are so many reasons to love Gem and that make me happy that I stood by her and worked with her through all the crap she threw at me in the beginning. Those are perfect reasons to love Gem, especially self-preservation! I love the photo of her on the hot ride: my horse often tells me the same thing! This is why I love Gwyn, the whole toddler proof thing. 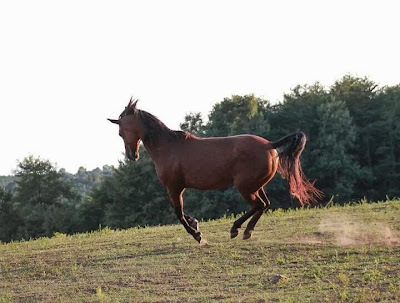 She does not put a hoof out of place when my daughter is in the vicinity. In fact, sometimes she's more overprotective than I am, which is funny when Kaylee is climbing a gate and Gwyn is standing right there, looking at me like "Uh... hellooooo? Tiny human could get hurt!" How cute!! You need to get a picture of that. Was Gwyn a horse mom ever? I wonder if that makes a difference. Such great pictures! 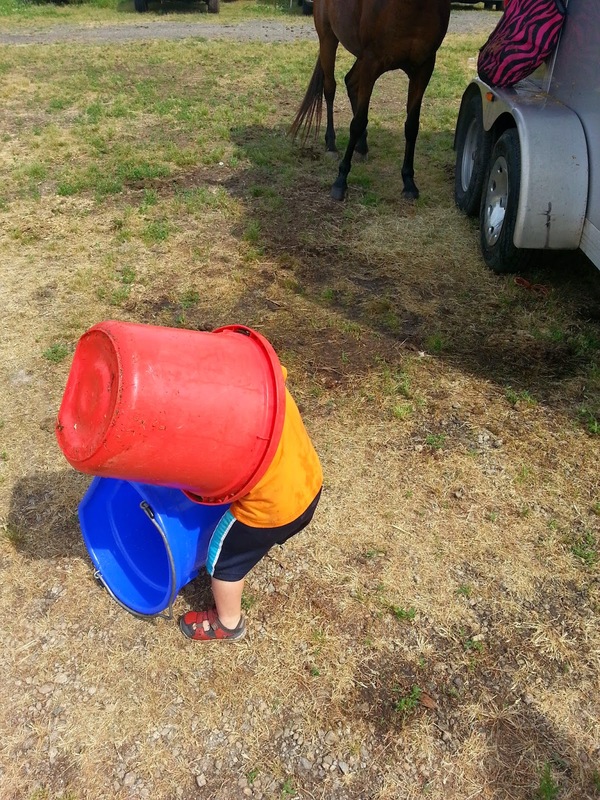 !, though my favorite is Wyatt in the buckets :) Love all your little Gem things!